Sometimes we need to reverse engineer our database. Microsoft Visio has an option for reverse engineering. But by default it does not support MySQL or in other words you cannot reverse engineer a MySQL database. I have faced this problem and got the solution and sharing here with you. 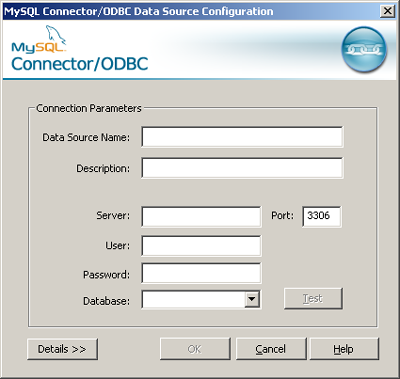 Download the latest MySQL ODBC connector from MySQL site. You may find it here http://dev.mysql.com/downloads/connector/odbc/5.1.html. After downloading install the connector. Now open Microsoft Visio and open Database Model Diagram template (you may find it under Software and Database group). From Database menu click on Reverse Engineer. You will see the Reverse Engineer wizard. Select MySQL ODBC driver from the list. Click Next and then Finish. MySQL Connector/ODBC Data Source Configuration window will open. Give a name to the datasouce, database server host, user name, password and select the database you want to reverse engineer. Remember, the list of database will be shown if you have provided correct information. Click on Ok. Now you will find the data source in Data Source list. Select the newly created data source and click Next. The regular wizard for reverse engineering will start. When I started coding in PHP, the main hassle was preparing the development environment. Installing Apache, PHP, MySQL was not so easy. Then I came across PHPTried and after that WAMPP. But finally I got what I wanted – XAMPP. To me XAMPP is a total PHP development environment. XAMPP is an easy to install Apache distribution containing MySQL, PHP and Perl. XAMPP is really very easy to install and to use – just download, extract and start. To get a copy of XAMPP, visit http://www.apachefriends.org/.